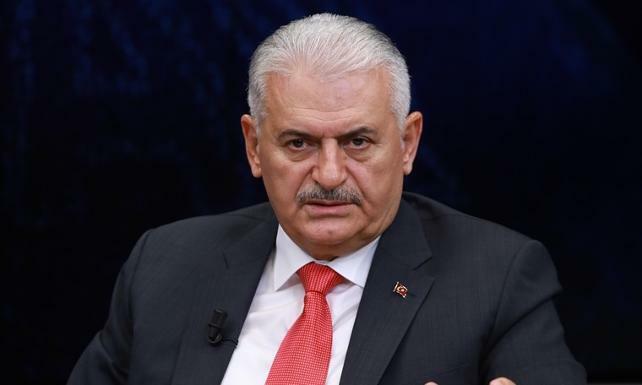 Turkey’s Prime Minister Binali Yıldırım, whose role is about to be abolished in the transition to a presidential system on Sunday, has attracted criticism for joking that the July 2016 coup attempt, in which 248 civilians and security forces were killed, was an inside job. Yıldırım was asked by interviewers at state news agency Anadolu whether there was a project that was particularly difficult during his time as Prime Minister. Social media users posted videos of the incident asking if this was a “confession”. Alican Uludağ, a legal correspondent for opposition Cumhuriyet newspaper, said that Yıldırım had not only joked about July 15 being his own project, but had also said that state of emergency would end after the new cabinet was announced on Monday. “These statements are each confessions that July 15 and the state of emergency were each vehicles for the construction of Erdoğan’s presidency/new regime,” he said. Another person surprised by Yıldırım’s comment was opposition Republican People’s Party (CHP) advisor Mücahit Avcı. Başbakan Binali Yıldırım, veda ziyareti kapsamında geldiği Anadolu Ajansı'nda (AA) Editör Masası'na konuk oldu. Yıldırım, 'Sizi çok zorlayan bir proje oldu mu?' sorusuna yanıt olarak "Yani hoşuma gitmeyen proje 15 Temmuz. Keşke olmasaydı" şeklinde yanıt verdi.